Why Storytelling Is Important For Marketing | Pebble Infotech Pvt. Ltd.
We writers do it often. We recall all the things that happened throughout the day and build our own narratives. It’s just a basic exercise we do every day to keep our brain muscles flexible. You can compare it with big time athletes who spend hours in a gymnasium to warm-up. 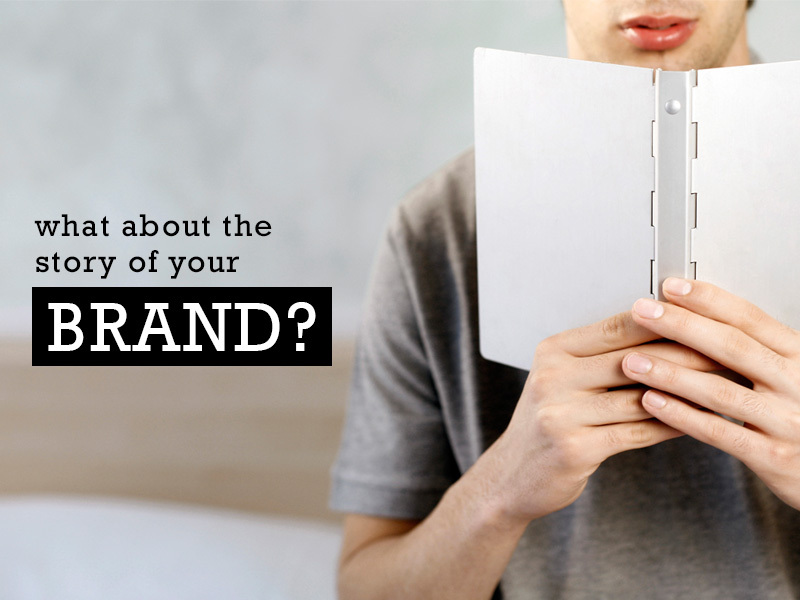 But, what about the story of your brand? Is it just a mere exercise to help your brain muscles or does it contributes to the long-term success of your brand? The answer is quite simple, to keep existing customers and allure new ones, you must adapt proven ideas. And, storytelling is an important part of content creation that will help you to retain maximum customers. So, without wasting much time let’s look into the key benefits of storytelling. As humans, it’s our nature to remember beautiful stories. Remember the time when your parents read you a nursery rhyme and stories to help you remember important morals. For most, these morals are one of the key elements that have helped them to become a better person. These important lessons of life are thus told as stories to make them entertaining, memorable and interesting. And, when we reach our adulthood we may not remember the entire story – but we will remember the important in-between parts. Same is the case with your marketing if your brand’s story is crafted in an interesting way it will attract more customers and readers. And it doesn’t have to be the top-of-the-class type, just use fascinating words that will take your customers to the end of the page. Stories help people to see, feel and hear your message. Besides that, it also helps your customers to build a virtual image of your company into their head. So create interesting stories in order to provide right memories! Many brands are doing phenomenal with their storytelling tactics. By combining right words with a right topic you can motivate your customers to engage with your brand. First, analyze your customer base and figure out what story can help your audiences remember important things. From my personal experience, I will definitely say that humorous stories coupled with some exciting experiences work the best. For instance, you can tell your start-up story and the embarrassment you had to face in the process. Stories are one of the best content for marketing. As marketers, our most important duty is to compel audiences to act upon an action. Include a moral into your story; this will help you to foresee desired results. This will motivate your readers naturally more than a cold message or forced sales pitch. But, before doing so it’s very important for you to understand your audiences. This will help you to craft effective stories and ensures a strong and effective relationship with your customers. And in the long run, you can constantly motivate your customers to engage with your brand. If you want to sell your contents then you have to make them interesting. Remember, no one wants to read piles of text that brags only about your company. Many businesses take a step back to adopt new measures to make their contents interesting. But, if you want to reach your marketing goals then it’s a must to create engaging and interesting contents. Storytelling is one of the most effective measures to capture the attention of audiences in both exciting and dry industries. Stories tap into the emotions and motivate your audiences to engage with your brand. Coming up with new ideas is a mammoth task for marketers. There are tons of different ways in front of us including SEO, blogging and content marketing. But, they have all been around for a while and if you are taking advantage of it then someone else is also surely rejoicing the benefits. There is a lot of competition in the digital market and if you want to stand-out them you must come up with something new and unique. It’s not a myth that lots of content marketers publish new contents into their site daily or at least twice a week. But, here is the big fact for this you need to come up with loads of new ideas. Storytelling will help you to create something new and unique, instead of beating around the same bush. You can also take a written content and make it interesting and customer-centric by addressing the needs of your customers. This will help you to capture attention and allure more customers. In long-run it can increase conversion and drive sales. In recent years, storytelling has become a Holy Grain of content marketing. Stories are an inseparable part of any content marketing plan and are used by many renowned companies. So, are you going to include storytelling as a part of your content marketing plan?